At Executive Health Services, Inc., we provide Yellow Fever vaccinations for those with plans to travel to regions in which this disease is common. 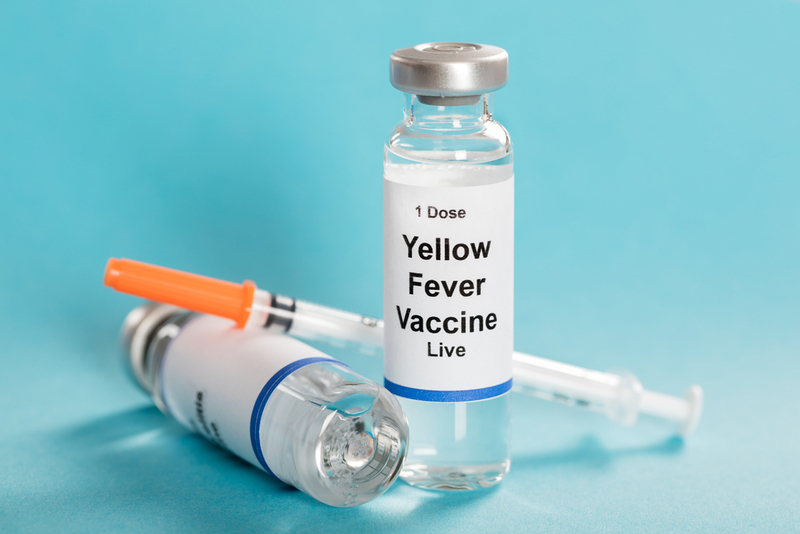 Yellow Fever is a viral infection that is recognizable by symptoms such as fever, muscle aches and headaches, nausea, vomiting, loss of appetite, sensitivity to light, and dizziness in its acute phase. However, those with Yellow Fever in the toxic phase experience more severe symptoms, like the yellowing of skin. Yellow Fever is contracted via a bite from an infected mosquito, and it cannot be transmitted from person to person. Where is Yellow Fever typically found? Yellow Fever is most prevalent in areas of South America and Africa. Yes, Yellow Fever is preventable via vacciation, and it typically takes one month for someone to develop immunity. Why should I get a Yellow Fever vaccination? You should get a Yellow Fever vaccination because it is a very serious, life-threatening virus that has a history of killing people en masse. ALSO, MANY COUNTRIES ASK FOR YELLOW FEVER VACCINATION AS A VISA REQUIRMENT AT THE PORT OF ENTRY. Where can I get a Yellow Fever vaccination? You can get a Yellow Fever vaccination from us here at Executive Health Services, Inc. In fact, we are the leading provider of vaccinations to people in Philadelphia, as well as those within a radius of a few hundred miles. Who should I speak to about a Yellow Fever vaccination appointment? Call us today to discuss a Yellow Fever vaccination.